One day on our way to feed the horses in Borissovata Gradina, the children and I were surprised to see a car parked just outside the Vassil Levski Stadium metro station. It was parked inside an enormous glass box on the large sidewalk. A sign announced that Great Wall of China and Litex Motors of Bulgaria were partnering to build cars in a factory just outside of Lovech, less than 100 miles northeast of the capital Sofia. Several years before, in 2008, the Bulgarian government had announced Great Wall’s overtures and the Bulgarian prime minister’s support for the partnership. Great Wall knew exactly what to promise: socially responsible business, excellent work conditions, sound environmental policies, programs for employment of disadvantaged individuals, nearly 1500 jobs at the outset, more than 80 million Euros invested. The Bulgarian PM also knew exactly what to promise: good business climate, tax legislation, qualified and highly educated work force. The contract was signed in April 2009. Bulgaria became Great Wall’s tariff-free entrée to the European Union. For Bulgarians, this may have been a unique “through the looking glass” moment. The world’s largest Communist country, China, was sending a private car company to invest in Bulgaria as a capitalist member of the EU. In 2015, Great Wall made Forbe’s list of Asia’s Fab 50 companies for the fifth year in a row, but its stake in Bulgaria is only 10%. Bulgarian former wrestler and current oligarch Grisha Ganchev’s Litex Motor supplied the other 90%. Autoreview.bg gushed on opening day in February 2012 that the 500,000 plus square meter factory was “one of the most modern automobile factories in Europe.” Of the 120 workers actually employed on this first day, the “average age of the assembly line workers was 19 and the engineers 25.” Noting this fact hearkened back to the first decade after the 1989 changes, when job announcements often explicitly warned that applicants must be under the age of 30. What was said implicitly with such age requirements was that older employees long working for the Communist state were presumed to be unable to adjust to the new world order. Most of Great Wall’s employees weren’t even born before 1989, let alone with long working lives before the fall of that other Wall named Berlin. The New York Times was guardedly optimistic about the venture’s prospects. Just three months after opening day, Grisha Ganchev was arrested for tax evasion and fraud conducted through a criminal organization. The additional charge of threatening to kill the head of Bulgaria’s National Revenue Agency, Krassimir Stefanov, was dropped after Stefanov denied it had happened. Ganchev was released on bail. Great Wall/Litex carried on with car production. Pre-1989, the Soviet Union and its satellites had more than a bit of difficulty resolving contradictory automotive desires. On the one hand, there was the desire to develop self-sufficient heavy industry that would prove the superiority of the Communist path. On the other, there was the desire to have reliable cars available to anyone who wished to purchase them. It was a bit of a push-me, pull-me. Sometimes ideology won, sometimes realpolitik. Q: What must be included on the second page of the instructions for a Moskvich, Volga, or other socialist car? A: The full schedules of all busses and trains. At first, the USSR simply shamelessly copied the West. The Soviet-made Moskvich was the German Opel Kadett by another name. At the end of what the USSR (and now Russia) referred to as the Great Patriotic War, they disassembled the German Opel car factory, moved it eastward, and began producing the cars themselves. Over the years, they introduced new models from time to time, but seemed unable to erase the sense that one was riding around in a tin can. For many years, a Moskvitch was tantalizingly displayed in the ground floor window of the Central Department Store in Sofia (though I could only find a photo of the Czech Шкода). Unfortunately, the USSR was unable to copy German efficiency in producing a sufficiently steady stream of cars. My in-laws waited ten years to be able to buy their bright yellow Moskvich and it was not unheard of to wait as long as 20. My in-laws owned the car for considerably less time than the waiting period for purchase. In 1988, when after much bureaucratic wrangling from the Bulgarian side my future mother-in-law was given permission to visit us in DC, the yellow Moskvich was sold to pay for her airfare. The respected Bulgarian weekly business newspaper, Kapital, opened its first article on the Great Wall/Litex partnership by dryly noting “Not a Moskvich…that’s how an advertisement for the new Bulgarian-Chinese automobile might sound.” Kapital also pointed out the irony that once again the technical know-how is coming from a “friendly socialist country,” albeit this time around from a private investor. Q: Do you know why Moskvich owners are buried straight up when they die? A: Because their whole lives they were lying down under their Moskviches. 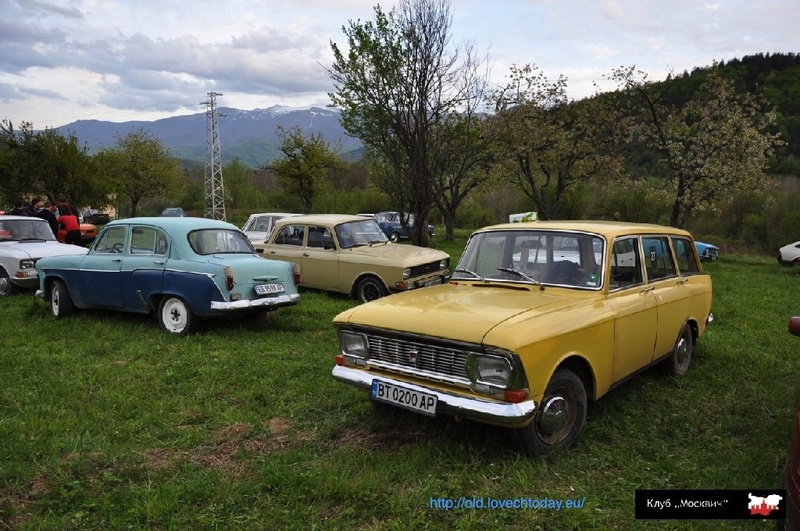 Bulgarians who did not wish to wait for ten or 20 years and had friends who could travel abroad had a brief window to “import” a foreign (aka, not from the USSR) car. For a time, cars could be purchased in, say, Germany or France or Italy, and then driven to Bulgaria. But authorities caught onto this preference for capitalist cars and imposed a 200 percent duty on their import, which essentially shut down the whole practice. Q: What do you call a Lada at the top of a hill? A: A miracle. Q: How many people does it take to build a Lada? A: Four. Two to fold and two to paste. In 1921, Vladimir Ilyich Lenin decided to bring a little realpolitik to bear upon the Marxist-ruined Soviet economy by introducing the New Economic Policy or NEP. The market was freed ever so tiny a bit. His death only a few years later ended that experiment. But beginning in 1960, Bulgaria created its own version of NEP to facilitate import and export with capitalist countries. Cars were included in this new policy. The state-owned Bulet company opened a car assembly plant in Plovdiv and created joint ventures with French car companies Renault and Alpine. An agreement with Fiat allowed the popular Fiat 124 model to be assembled in Lovech. Bulgaria thereby circumvented the tortuous path by which it received cars from the USSR. Bulgaria’s version of NEP lasted longer than Lenin’s but not by much. The unexpected trade possibilities outside of strict government control frightened the powers at the very top. In 1969 and 1970, the companies were shut down and their managers sentenced to lengthy prison terms. The Soviets by then had flooded the market with their Zhiguli/Lada car. The Lovech plant began producing Moskviches. You can go to the Great Wall Bulgaria YouTube channel and see videos shot in Lovech. They alternate images of car interiors, car exteriors, fully clothed men working on an impeccably clean factory floor, and midriff-baring girls wearing the shortest of shorts dancing in front of Great Wall cars parked outside. Despite Great Wall’s marketing acumen, it is clearly under the same delusion as most Bulgarian businesses—that is, there is no need for a native English speaker to check its English-language communications. Thus, the English version of its website happily if peculiarly announces “The male part of Litex Motors Team, the Bulgarian vehicles producer, as a sign of solidarity and support to the cause Movember, brought up a moustache.” Though a striking number of educated Bulgarians now speak English quite fluently, businesses persist in believing that there is no need to spend a penny on professional English-language marketing when office secretary Penka has a nephew Ivan who has been getting such good grades in his high school English class. Traversing the languages in the opposite directions seems equally fraught. The Институт за Български Език (Institute for Bulgarian Language) charged with, among other things, language competence, seems not to have been consulted for the Bulgarian equivalent of “pick-up.” Great Wall simply transliterated the word into Cyrillic. Chinese or Bulgarian versions of English-language marketing aside, Lovech as Bulgaria’s Detroit is getting a second life. Bulgarians who can afford to buy a car can walk into dealerships in 12 cities across the country. Italians who want to buy a Chinese car made in Bulgaria can do that too. In a December 5, 2012 Financial Times article, Kerin Hope and Theodor Troev saw the automobile manufacturing sector in Bulgaria making a comeback. “About 50 companies…employ more than 9,000 people around the country. The sector racked up about €1bn of sales in 2011, accounting for about 4 per cent of total exports. Customers include Mercedes-Benz, BMW, Ford, Audi, Citroen, Peugeot and Renault.” Great Wall didn’t get a mention. “Barely four months after passing his driving test, George Todorov won a competition on Facebook to promote the Voleex C10 hatchback, a Chinese car assembled by Litex Motors in Bulgaria. On August 4, 2015, the Specialized Criminal Court finally started the trial against Bulgarian former wrestler and current oligarch Grisha Ganchev. On January 13, 2016, Kapital reported that Great Wall/Litex Motors temporarily stopped production in order to prepare for the assembly of new models. 200 plus employees, a bit shy of the promised 1500 plus, had been working there. On December 11, 2015, Прес-авто клуб България (Press-auto Club Bulgaria) announced that Skoda won Automobile of the Year in Bulgaria for the fourth year in a row. As a visitor, I needed to register my whereabouts with the police. 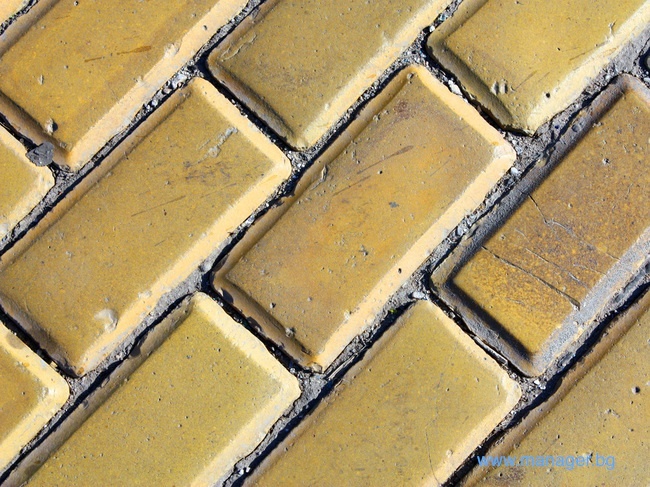 We went to an office near the National Assembly building, in a part of the city paved with yellow bricks. There was a very long line. It moved very slowly. Eventually, my future brother-in-law took me to buy postcards while his mother held our place. I was able to fill several postcards, address them, go to the central post office, buy stamps, and mail them. On our return, his mother had barely advanced in line. Finally, it was my turn and I immediately saw the problem. A lone woman sat at a manual typewriter laboriously hunting and pecking to complete the carbon forms. Clickety clack clickety clack clickety clack as the carriage moved across and then “ding” as she shifted the lever to begin again. I was fairly confident that Big Brother could not have been watching me altogether efficiently. 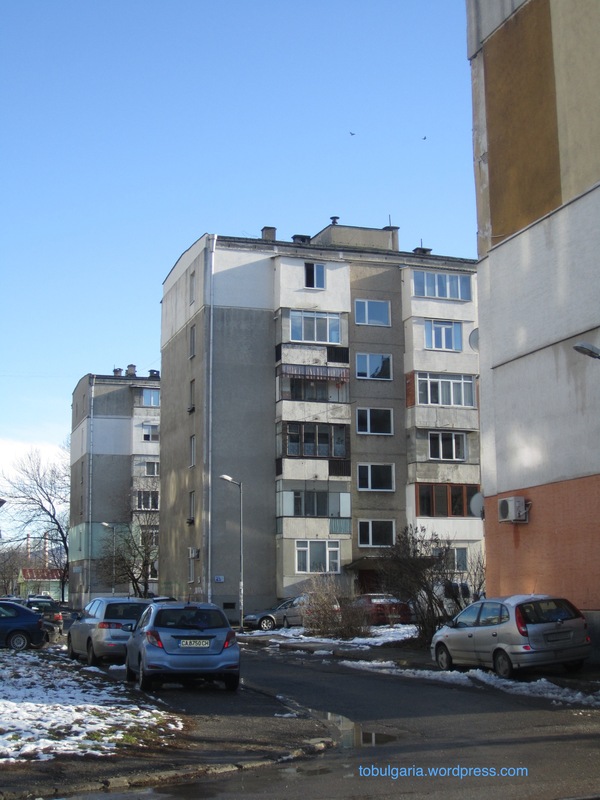 Still, the drab gray blocks themselves are set up in rows, all right angles with none of the curves or organic feel of Sofia’s city center or of the villages— both of which show development that feels more human and more humane. The grid is hyper-organized and all the blocks are built with precisely the same materials and structure. Big Brother’s centralized planning did not extend to the spaces between the blocks; they are entirely undeveloped blocks of “no man’s land.” Druzhba, Nadezhda, Mladost, and countless others are quite literally the Soviet and Eastern European version of U.S. low-income, government-built “projects.” My husband used to say, “Now that they’ve made so many buildings in Sofia, it’s time to introduce architecture.” It’s too late to introduce architecture to complexes built over half a century ago and millions of people live there without the means to buy better elsewhere. And finances aside, it’s not easy to leave friends and extended family after so many decades. Aesthetics or no, the blocks are home. My husband remembers their excitement at moving to Druzhba after years of living in one room and sharing a common kitchen, toilet and running water with their neighbors. Coming out onto the small balcony of their fifth floor apartment, he was fascinated seeing for the first time from so high a vantage point people on the street below. My in-laws were appreciative not only of the apartment itself, but of the view of Vitosha Mountain. 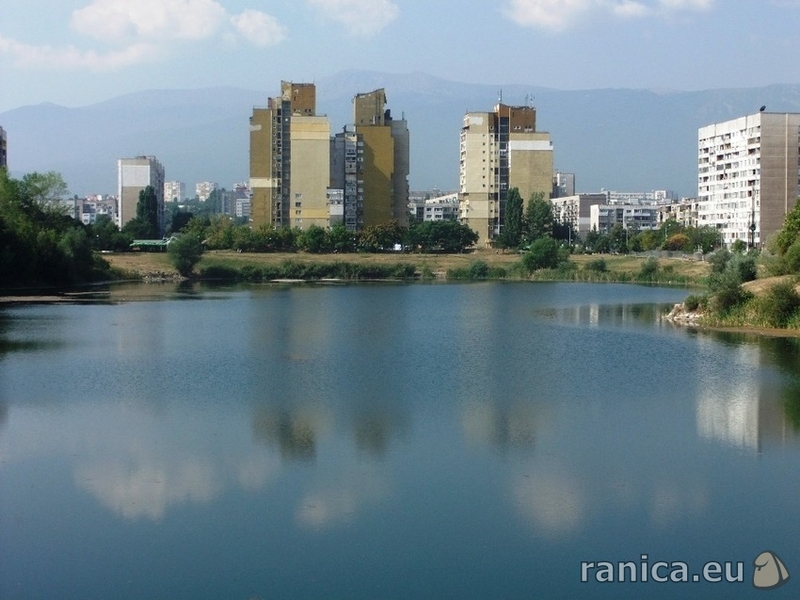 Sofia is in a valley on Vitosha’s northeast foot and even the tallest, ugliest pre-fabricated concrete panel block cannot blot out the mountain’s beauty. In lighter winters, cottony white clouds lie below Vitosha’s snowline, which never fully melts even in summer. The manmade lake is reasonably maintained, with a walkway all around, a bridge, grassy areas, and now restaurants, a new playground, and a fitness center. Once the 1989 changes happened, the government stopped asking for the nominal rent it had required and instead offered the possibility of ownership through a reasonable mortgage quickly paid off. From that point, the renovations within began as money and materials became available. A few years ago, my brother-in-law renovated the entire apartment down to the floorboards and it now has quite the Scandinavian aesthetic. You can renovate your apartment any way you wish without interference, but the public spaces—the elevator, the stairwells, the exterior walls—these require the cooperation of everyone who lives in your particular entrance. When we returned to Bulgaria in 1993, it was summer. 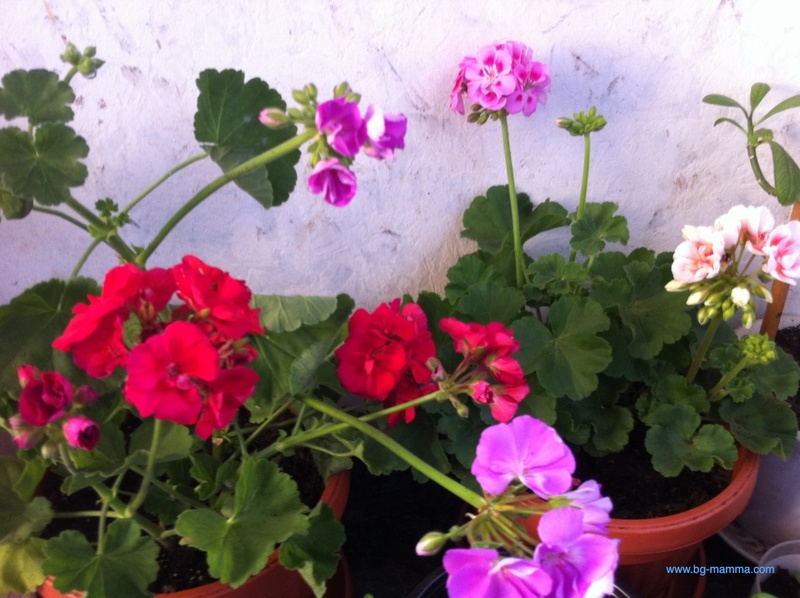 We frequently went out on the back balcony to water the many plants my mother-in-law tended there, especially the ever-blooming red mushkati (geraniums) that were her pride and which can be seen on block balconies throughout Bulgaria. One day we noticed that the adjacent old three-story, two-entrance block long predating Druzhba was being re-plastered and painted. As the weeks went on, it became clear that only one-half was receiving this treatment. Only the people living in one entrance had agreed to pay for the renovation. By the end of our stay, one-half remained with falling plaster and the other appeared brand new. In June 1995, we moved to Sofia for a two-year stint. Hanging laundry on the back balcony one day, we saw that the other half of the old three-story block was being re-plastered and painted. Clearly the residents of this entrance now felt they had to maintain appearances with the other. But not all the residents in the entrance felt this way. There was a lone holdout and we knew this because the entire face of the entrance was re-plastered and painted except for a one-sixth square on the first floor. Two decades later, that one-sixth was still untouched. Perhaps the holdout was right since by January 2015 the rest of the building’s façade looked less than fresh, and the line between re-plastered and never touched was barely perceptible. The A4 size nekrolozi (death notices) may proliferate in the block entrances, the uninviting play equipment long consigned to decrepitude, but the blocks themselves solidly—perhaps eternally—continue. With so many people still dependent on them for housing, the only choice seems to be maintaining and improving them. Habitat for Humanity has a program to assist—take a look.